Have you ever felt like your battery’s run dry half way into the workday? Can’t concentrate on any of your tasks because of an all-nighter you pulled the night before? It’s during such exhausting times that I dream of days gone by when afternoon naps were not only acceptable but were required as part of the daily schedule as a kid. While time travel is out of the question, being able to take a quick power nap in a conducive environment (not referring to the work desk!) during the work day is a possibility – trust me I’ve tried out some of them. With work being incredibly demanding over the past few months, I’ve been going for more massage and facial sessions to relax over the weekend. However it was during a particularly exhausting work week that I decided to try something out in the middle of the day! Have you heard of Golden Village’s Executive Zen Zone Lunch+Nap Promotion? Well I didn’t, until the past week. Since people say good things must share, here’s more on my unique experience of power napping at GV during my lunch break. Only available on weekdays (12nn-1:30pm) at Suntec GV, customers pay a very affordable $12 for a meal from the Gold Class menu, a complimentary gel sleep mask, and up to 90mins of nap time on the signature GV Gold Class recliner. It’s superbly convenient to book. The same way you book movie tickets online, I went to the GV website and booked a slot on the way to work. 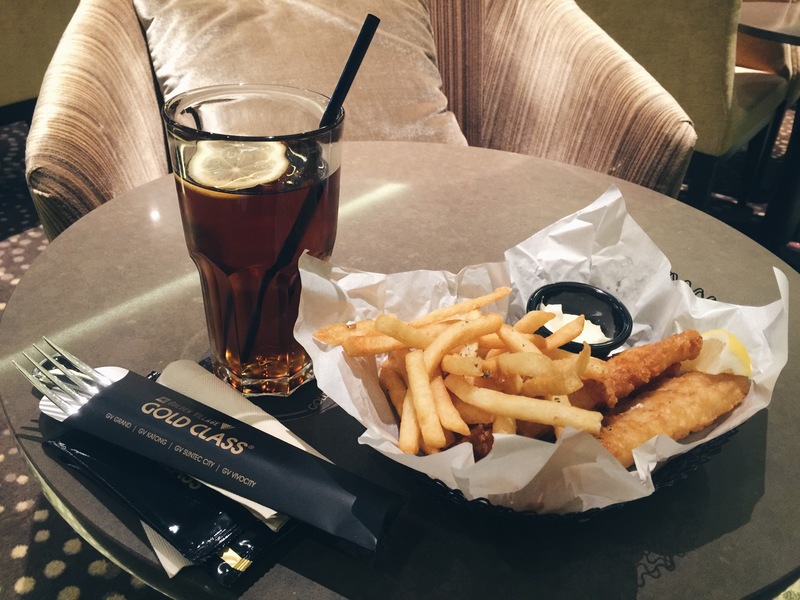 At 12 noon sharp, I turned up at the Gold Class lounge and was promptly seated and asked for my choice of meal and soft drink. Main courses options included chicken wings, pasta, burger, grilled chicken, fish & chips and pizza — a pretty good variety given the price. My fish & chips was definitely more than decent for a meal at the theater. The fish was piping hot with a crisp batter and juicy insides, and the fries were thankfully not soggy. However, given that the napping time ends at 1.30pm sharp, I quickly finished my lunch by 1230pm before heading into the designated theater for my nap. By the time i got to my seat, the theater was already more than half full with fellow nappers– after the fact I discovered that there’s a choice to have the lunch first or after the nap. Without wasting more time, I promptly hopped onto my recliner, and adjusted the leg supports and backrest to the most suitable incline (unfortunately it cannot be a flat 180 degree). Next step was to put on my ear phones which I brought along to drown out any possible snorers in the vicinity – thank goodness for my over-planning as I did hear a couple of snores from the front rows. GV provides a complimentary gel eye mask which was quite comfortable and good for blocking off all ambient light (even though the surroundings was already very dark) as well. And off to lala land? I wish I could say I fell into a deep slumber, but I didn’t, thanks to a couple of late comers who made quite a bit of noise entering the theater, chatting, fumbling with their packages and what not. GV should really restrict entry after a certain period to allow the early birds to rest in peace or it kind of defeats the purpose. Nonetheless, I did get some good down time and my overall experience was still positive. I would most definitely recommend it to anyone who works in the vicinity of Suntec and really need an affordable place to have a shut-eye during lunch time. Try it out before the promotion ends on the 28th Sept! Any other suggestions for tired office workers? Please share, as I’m looking to compile a more comprehensive list for fellow hard working Singaporeans and hopefully get to try them out myself! What a novel concept and an amazing idea! Do you know how long you slept for? Thanks for the introduction to the blog link up too! 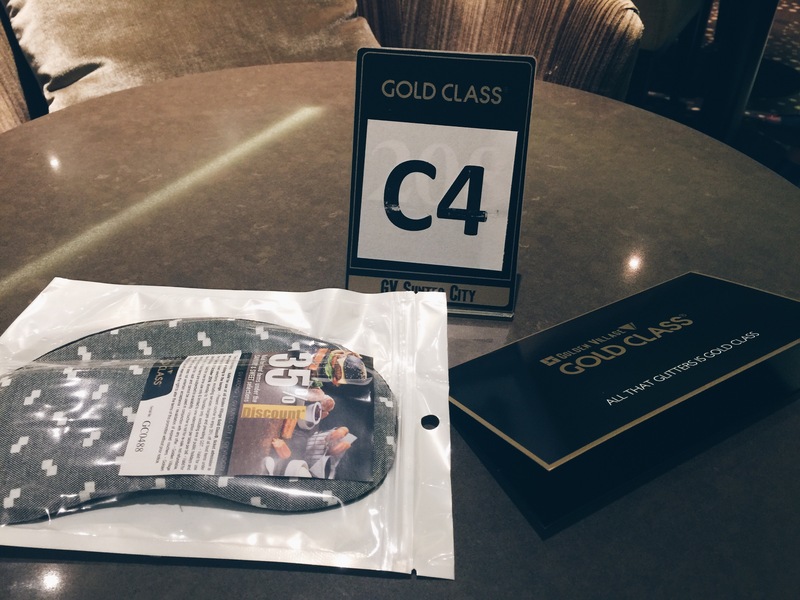 I find this both hilarious and impressive – how entrepreneurial of Gold Class! I am often saying that I wish that sleep pods were available in the city for all those times a power nap would help amp up the day! Yes I think it should really become a trend! Napping helps improve productivity for the rest of the day so this definitely comes in handy for people who work long hours. This is fascinating! I have longed for a place to nap at work, and theoretically there should be somewhere–I mean, I work on a college campus! Don’t the kids need naps?–but this is discouraged in every way possible. At one meeting someone had suggested getting a sofa for one of the library study rooms and this was shot down on the basis that students might fall asleep. However, I have found that my lunch is more relaxing if I pack it so I don’t have to go foraging for food on my lunch hour, and I also like to go for a walk after I eat. Both things seem to help keep me energized for the afternoon. I also avoid caffeine for totally unrelated reasons, but have found that the fact that I am never on stimulants prevents me from crashing. Are there hostels on premise in college? I used to head to my hostels for mid day naps back in my college days. Napping on the job is also very much discouraged here too – seems like a person is slacking off. I guess people don’t see how important it is to rejuvenate for better productivity after! I stay away from caffeine as well so I do need to rely on short power naps to get through the day on especially exhausting work weeks. It’s so interesting to hear from another perspective. Thanks for sharing! And I hope they eventually come around to the idea of sofas in the study room.